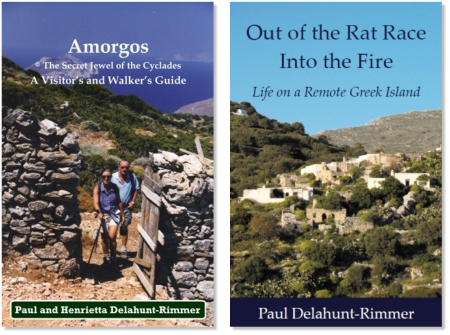 This guide book is for discerning visitors to the island who are interested in learning about the ‘real’ Amorgos. 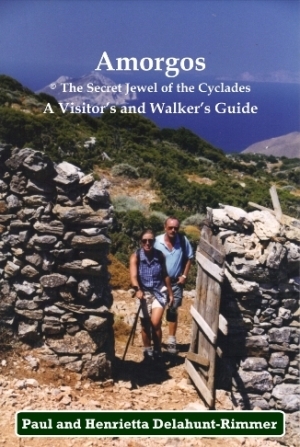 The authors introduced walking tours to the island in 1999 and have established it as a primary destination in the Greek islands for walkers. After many years of guiding clients and even local people to some of the amazing sights described they now reveal all. This book takes you to hidden places previously never recorded or seen by visitors without guides - hidden coves, crystal deposits, caves, Neolithic mines, ruined villages, unlisted 6,500 year old archaeological sites, to name just a few – the ‘secrets’ of the ‘Secret Jewel’. The cost is just £12.99 / 14.00€ with free postage and packing worldwide through us. All clients of Special Interest Holidays with Sunvil Holidays will receive a free copy upon booking confirmation. From mains water and electricity to collecting rain water and lighting the house with oil lamps and candles. From the comforts of a ‘flight deck’ and a Jaguar XJS to an inhospitable ‘ship deck’ and a donkey. From the stresses of civilisation to a simple island existence. This book describes the beauty of Amorgos, the clear blue sea and sky, golden sandy beaches and the spectacular craggy mountains. It introduces the generous and friendly islanders and their traditional culture. The author perfectly captures the unique philosophy of the island. The donkey identity parade, the toddler left on the ferry, the naked postman, the aged aunt who was mistakenly purchased with the house, an alternative use for prayer books and how to make raki. 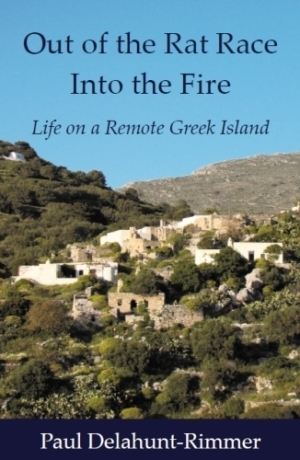 It is all here, along with many insights into the life of the islanders whose families have lived on Amorgos for centuries.